I have been working with Melinda for over five years in that time she has delivered website solutions for my personal businesses (falmoutyogaspace.co.uk and brisbaneyogaspace.com.au) as well as several website for my freelance marketing clients. In simple and honest terms, I would not use anyone else for web work these days. Melinda is versatile, creative and an excellent communicator. Her prices are always reasonable and yet she goes above and beyond to ensure what she delivers is high quality and meets the clients needs precisely. If you are considering working with Melinda, look no further, you've struck gold. 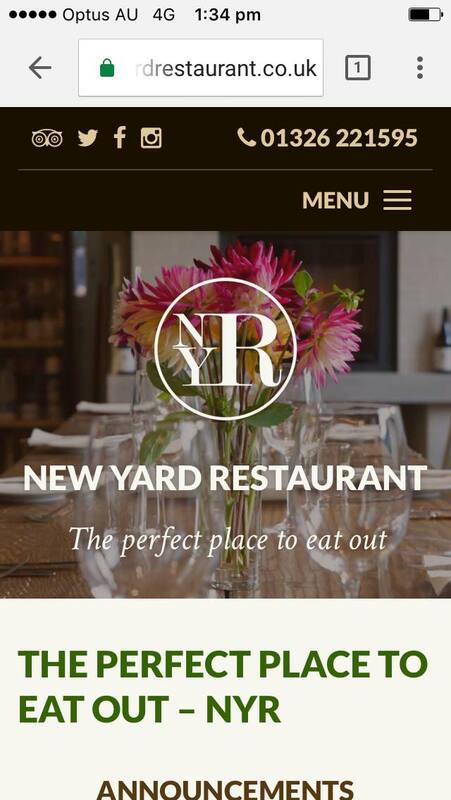 After working with Keren on the Trelowarren website, she asked me to take on the estate’s onsite restaurant’s website, New Yard Restaurant, and make it’s design more in line with the new Trelowarren site. As a result the NYR website uses a lot of the same layout ideas and techniques, but still stands alone as its own functional site as it has its own unique needs and branding elements. 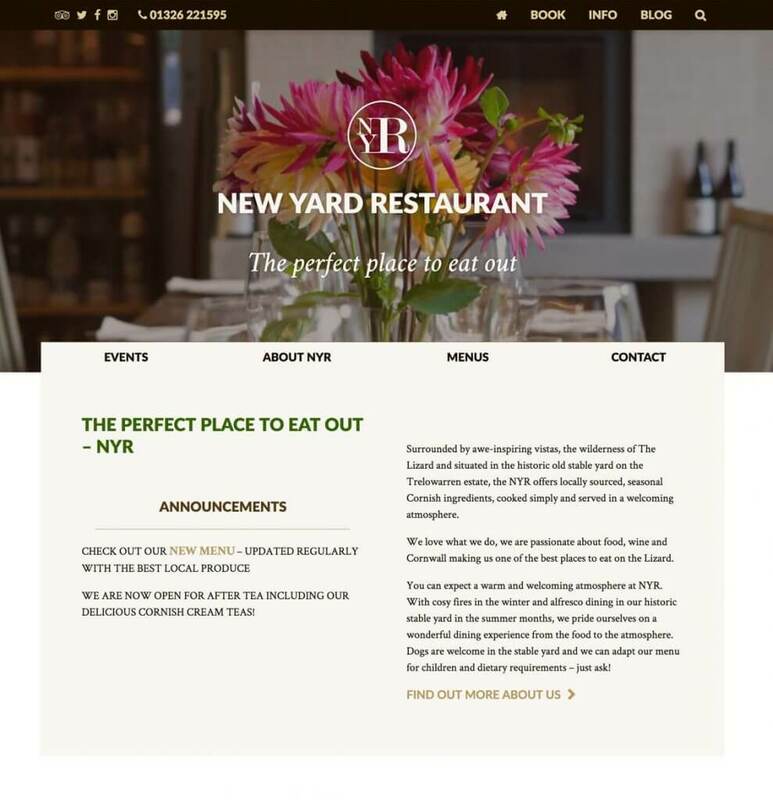 It uses WordPress as its backbone, and custom post types were created to manage the input of the menu, which was configured to meet the specific needs of NYR (rather than using a plugin). With NYR’s branding including the use of their beautiful, vintage-style imagery, a live Instagram feed was added to the footer to draw in the business’ latest photos from Instagram automatically. The output was configured to display seamlessly with the rest of the site. The client may also upload whatever image they like to the site’s header, on a page-by-page basis, to customise each individual page to have the look and feel they desire. 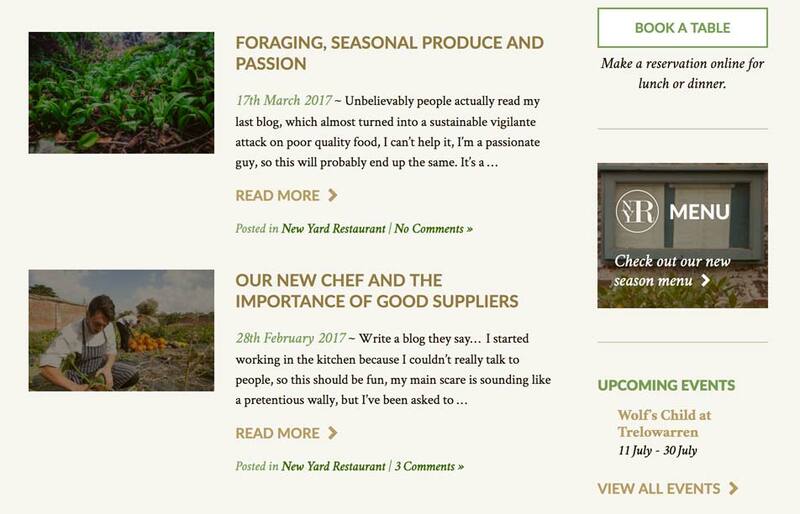 I love the simple beauty of the NYR site, and it always makes me feel calm to work on it. 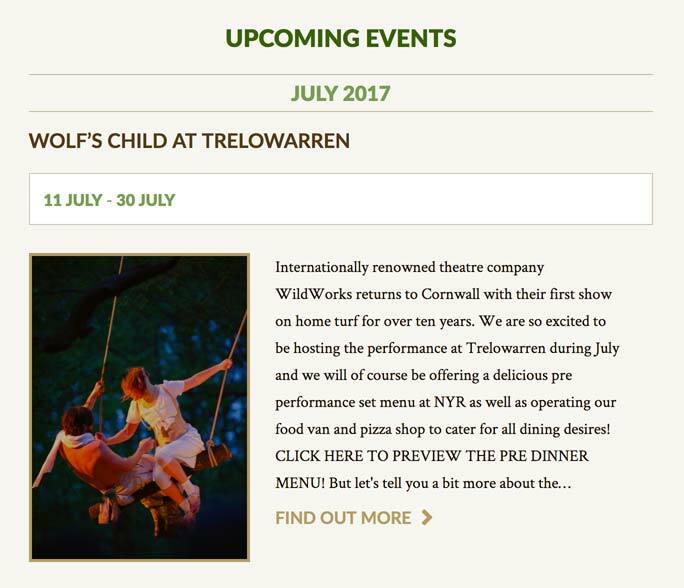 I really look forward to continuing this business relationship with the Trelowarren and New Yard people, and Keren of course! Homepage; client can edit all content. 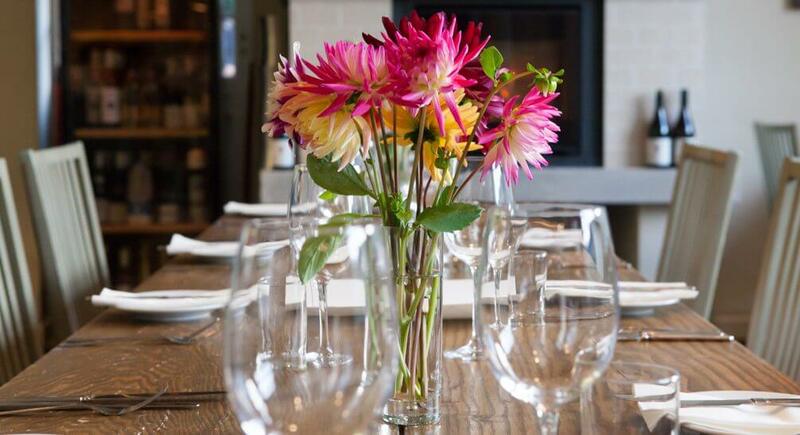 Restaurant menus. 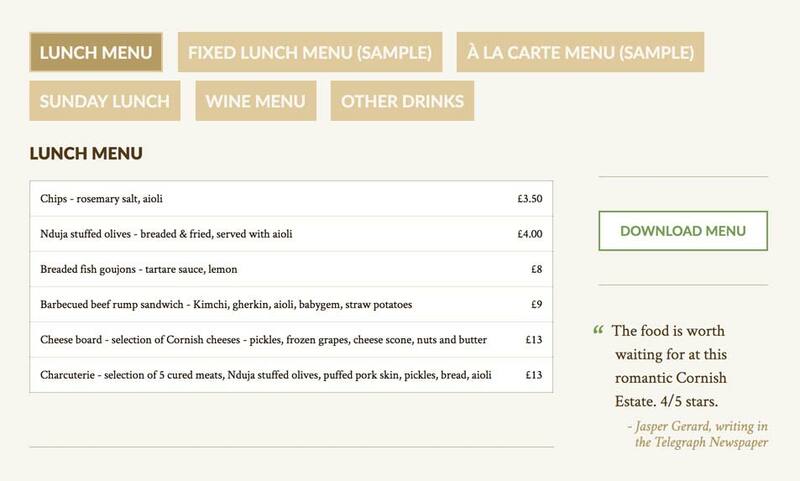 Client can create as many menus as they like. 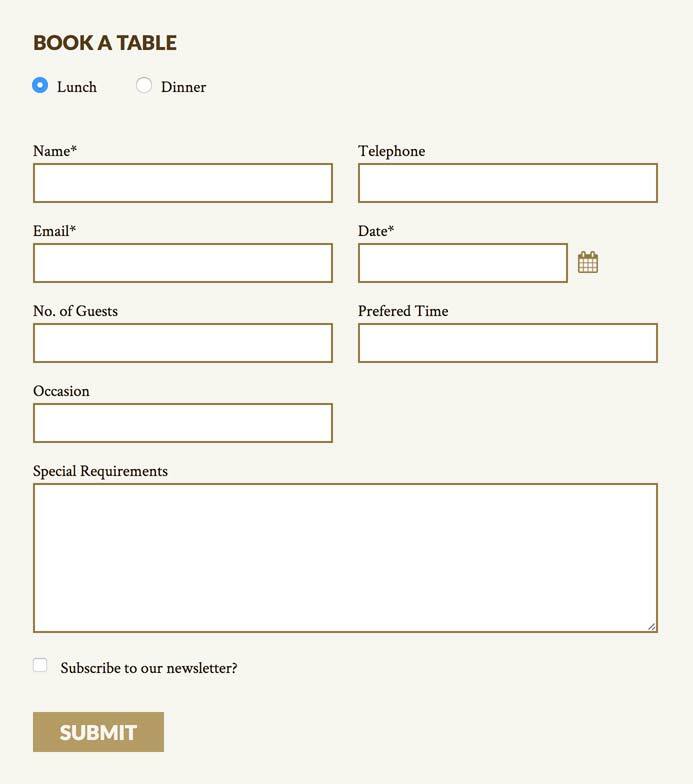 Restaurant reservation form, emailed directly to the restaurant. Latest Instagram posts automatically fed into the footer. Fully responsive; this is the same website on a handheld screen.